Blogul conţine informaţii referitoare la revistele străine care acceptă să publice creaţii ale poeţilor români. Sunt prezentate reviste care publică haiku, senryu, tanka, kyoka, haibun, tanka proză, renku, poeme în lanţ, haiga, eseuri şi articole referitoare la aceste specii literare de sorginte japoneză. Atunci când primesc anunţuri referitoare la conţinutul unui număr de revistă, postez informaţia. Unele reviste au date fixe de primire a textelor şi am specificat acest lucru în prezentarea făcută. Thanks in advance for taking part in the project. Il tema del secondo numero della rivista Incense Dreams è “Ombra e Luce”. Grazie in anticipo di voler prendere parte al progetto. 1) The theme in this issue is “Shadow and Light”, if you would like to be the featured artist send in at least 10 of your drawings, paintings, or photographs pertaining to the topic and add your biography. 2) Please include in the body of your email your Name/Country, and additionally your Twitter Handle or Personal Blog URL if you would like it to appear with your work. Also include your email address in the body of the email. 4) Send us your unpublished poems, although, poems featured on social media sites such as twitter and personal blogs will be accepted. 5) The submission period begins with the release of each issue and remains open for a month. 6) Incense Dreams next issue will appear on the Winter Solstice, December 21, 2017. The other issues will appear on the the Spring Equinox March 21 2018 and the Summer Sostice June 21 2018. 7) The copyright of work published in Incense Dreams remains with the author, although, our journal reserves the right to feature the work we publish in any future journals, anthologies, online or in print. Authors should credit Incense Dreams as first publisher with the use of any poem featured here first. 8) Thank you, Thank you for submitting your work and sharing the passion of this lovely poetic form. May you always be inspired, and may we always be there to read it! 1) Il tema in questo numero è “Ombra e Luce”, se si desidera essere l’artista in questione inviare almeno 10 dei tuoi disegni, dipinti o fotografie che riguardano l’argomento ed aggiungere una biografia. 2) Inserisci nel corpo dell’email il tuo Nome / Paese e, inoltre, il tuo URL di Twitter o URL personale se vuoi che venga visualizzato con il tuo lavoro. Includi anche il tuo indirizzo email nel corpo dell’email. 4) Inviaci le tue poesie inedite, anche se saranno accettate poesie su siti di social media come twitter e blog personali. 5) Il periodo di invio dei poemi inizia con la pubblicazione di ciascun giornale e rimane aperta per un mese. 6) Il prossimo numero di sogni di incenso apparirà all’equinozio d’autunno, 21 settembre 2017. Gli altri numeri verranno visualizzati nel solstizio d’inverno 21 dicembre 2017, poi all’equinozio di primavera del 21 marzo 2018 infine nel solstizio d’estate 21 giugno 2018 con riposo fino al successivo equinozio d’autùnno. 7) Il copyright sul lavoro pubblicato in Incense Dreams rimane con l’autore, anche se la nostra rivista si riserva il diritto di presentare il lavoro che pubblichiamo in qualsiasi rivista futuro, antologie, online o in stampa. Gli autori dovrebbero accreditare Incense Dreams come primo editore con l’uso di ogni poema qui descritto in primo luogo. 8) Grazie, grazie per aver presentato il tuo lavoro e condividendo la passione di questa bella forma poetica. Puoi sempre essere ispirato e possiamo sempre essere lì per leggerlo! Il tema per la prossima edizione di dicembre è “Ombra e Luce”. Il termine è il 31 ottobre. The seasons roll around. Today, the first of March, Australia and New Zealand welcome our first day of Autumn whilst those of you in the Northern Hemisphere are anticipating Spring’s arrival. Wherever you are in the world, the 14th issue of A Hundred Gourds, a quarterly journal of haiku, haibun, haiga, tanka and renku poetry is now online for your reading pleasure. A call for haiga submissions! We would like to feature some haiga in our e-book anthology. Your support will be greatly appreciated. Please submit up to ten works at wildplumhaiku@gmail.com with “Haiga” in the subject area. They may be prevoiusly published but be sure to give us the publisher’s credits. We consider new unpublished senryu and kyoka that have not appeared on public internet forums, open internet groups or communities. Poems that have been previously self-published on personal internet sites, personal blogs and pages or in closed internet groups are most welcome. We consider submissions in Russian, Ukrainian, English, German, Italian, French, Japanese, Elvish and Klingon. The magazine is published quarterly in Russian and a special issue in English is published annually. Please submit your works (up to 10 at a time) in the body of an e-mail to info@ershik.com. Welcome to brass bell: a haiku journal. 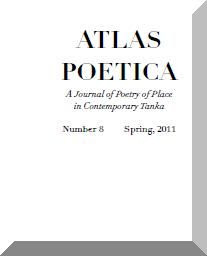 I'm collecting haiku for the April (premier) issue of this online publication. Each monthly issue will be devoted to a different theme. April's theme is rain. This is an invitation to submit as many poems as you wish, by 5 p.m. on Monday March 31. I will choose what I like best. Be sure to include your name exactly as you wish it to appear. It's fine to send previously published poems. Note: I prefer haiku that is 17 syllables or fewer; I am not attached to the 5/7/5 format but if you are, that's okay. Please share this invitation with others if you think they might be interested ... I would love to receive rain haiku from people I don't yet know.